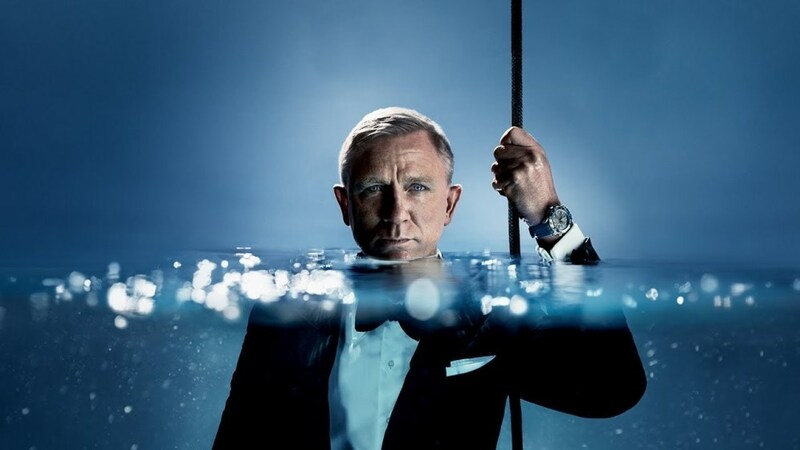 This year, OMEGA celebrates the 25th anniversary of the Seamaster Diver 300m, introducing a new and improved version of the watch along with the new face of this symbolic model - Daniel Craig. Not everyone knows that the actor is a watch fanatic. On screen, he first wore an Omega in Casino Royale in 2006, and he is currently set to play 007 for the fifth time. Off-screen, Craig has been collecting watches for many years. Omega is proud to call Craig the face of the new Seamaster Diver 300M. Not only because of his bond with Bond, but also because of his genuine love for wristwatches. And as the ambassador of the legendary 300, Craig has some illustrious predecessors. The new Seamaster Diver 300M derives from a legendary family with a competitive history full of innovation. The new watch also features several novelties, ranging from technological improvements to forward aesthetics and some detailing from the past. To start with: the watch measures 42 mm and houses the new anti-magnetic master chronometer movement (Master Chronometer Calibre 8800) built with non-ferrous materials that can resist the effects of magnetism from certain diving devices. The movement and its watch have passed the 8 stringent Master Chronometer tests set by METAS that include examinations under strong magnetic fields of 15,000 gauss. On the outside, the watch has a rotating ceramic bezel with a luminescent dot at 12 o’clock and a diving scale in Ceragold™ or white enamel. The crown at 10 o’clock – the helium escape valve – has been given a conical shape, while the mechanism itself has been patented with an ingenious new technology. If the Helium Escape Valve is accidentally opened underwater, the watch is guaranteed to remain water-resistant (up to 5 bar). Furthermore, the wavy dial is back. The wavy-pattern was a popular feature of the original design, and is now laser-engraved, with raised indexes. The 12 indexes and the hands are super visible thanks to the Super-LumiNova filling. Also, the skeleton hands (rhodium-plated, 18K gold, or blued), have been subtly reshaped. And to keep track of the days, the date window has been moved to 6 o’clock. Each model is presented on a traditional iconic metal bracelet with a new ergonomic and more integrated design, or an integrated black or blue rubber strap. The metal bracelets feature Omega’s patented extendable fold-over rack-and-pusher with a helpful diver extension to make extra room for the thickness of a diving suit. This and other watches by the brand can be found at Giulian boutique, Paradise Center, level 1.